A brand new patch is upon us with several fixes and adjustments (we finally got that no sound on hit bug!) and the patch notes can all be found here. If you have experienced anything unusual that is not listed in our known issues, please let us know here! And when are we going to be able to solo in training rooms? Edited by Almighty_Johnson, Oct 10 2018 - 18:21. Just downloaded & installed the update. I am now getting booted from the game as soon as I log in!! First time the game laoded and let me select a vehicle and them went to the "game loading screen" before booting me. Now as soon as I log in & it connects I get the boot! I haven't been booted for the last year and thought that the game had finally become stable...! I would like being able to check out new/changed maps without needing someone else there. Has the map rotation per hour been touched? I ask because for two hours today, I have only seen 4 maps. No Panther Style on my Kanonenjagdpanzer 105 Presale package with 1.2 update. All you stating is fine and dandy!!! But I've heard the same story many times before (and nothing was fixed) and I only believe it when I actually see it. The Black Panther style should be delivered to your garage after you play a battle with the Kanonenjagdpanzer 105. 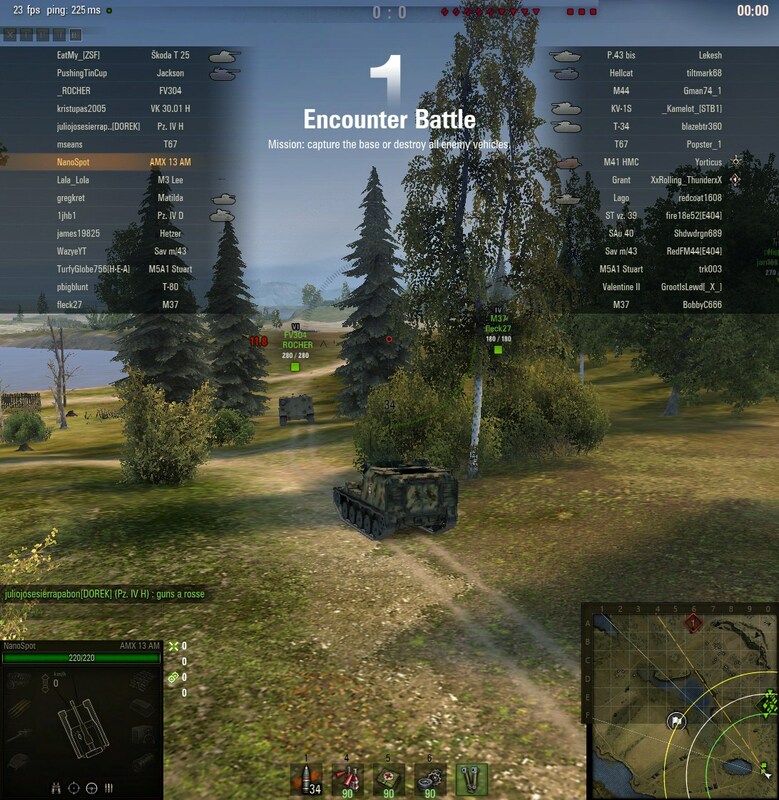 After connecting in WOT, it loads to "Synchronizing equipment and consumables" and then never loads any further ! Crews are trapped on tanks and no way to return them. Cannot run several tanks. Sorry about caps was not paying attention. Now servor said it is down for maintainence. Are you running any mods? I just checked and I can see my return crew button just fine. Please try running in safe mode and let us know if the issue persists! What happened to the NA server??? It is! my mistake, I looked before playing a battle. Loaded update, when trying to start game freezes at intro movie - does not progress, just stops, unplayable. Display layer: missing tank icons. 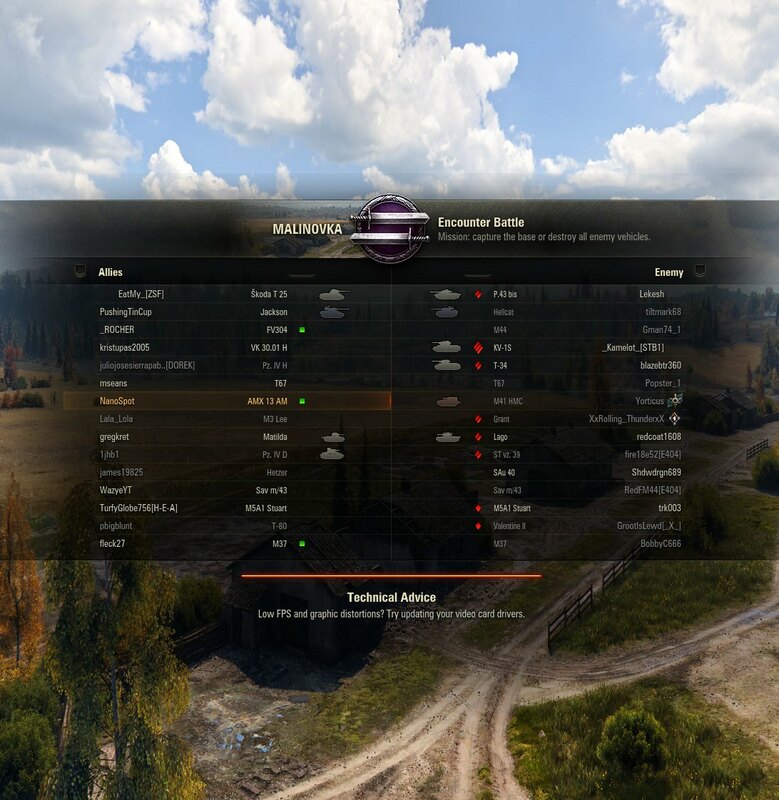 Seems like we just get traded new bugs for the ones wargaming supposedly just fixed!